The Samaritans will observe the Day of Atonement on Tuesday, Oct. 15th this year. Our Store is Open, Come on in! Samaritan Interactive CD-ROM that works on a Windows or Macintosh pc. Exhibits many photos, mini-movies. 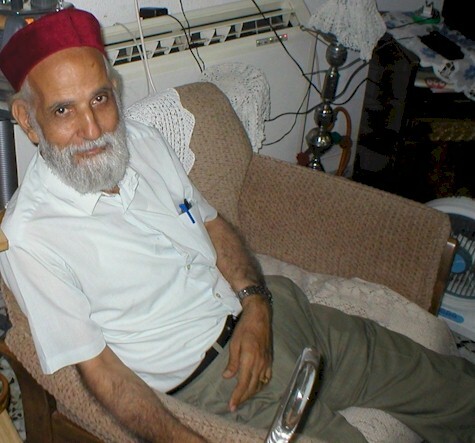 Addresses the Samaritan religion, chronicles, community, language and literature. The Samaritan Singers reform (Osher sings with them on this cd-rom) their music on the CD-ROM. It is full of information. 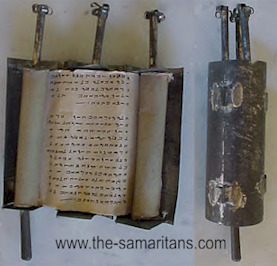 A copy of the Samaritan Torah. We have over seventy articles in our knowledge center! And now we are translating articles from Hebrew to English and English to Hebrew! “get a free e-mail address” or go to http://samaritan.i-p.com/ and register. Let people know you are involved with the Samaritans. We are sorry to inform you that our Guest Book and Discussion Board is currently down. 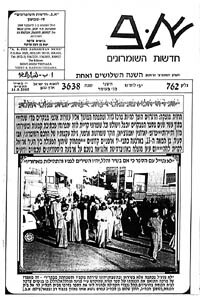 A Bi-Weekly Newspaper since December 1969, Written in Four Languages. The Samaritan Day of Atonement will take place on October 15th this year on Har (mount) Gerizim, their Holy location of all their major religious celebrations. This day is prescribed once a year, Leviticus 16:34: And this shall be an everlasting statue unto you, to make an atonement for the children of Israel for all their sins, once a year." The Priest makes atonement for the synagogue, the congregation that they may be clean from sin according to Leviticus 16:30; For on that day the priest shall make an atonement for you, to cleanse you, that ye may be clean from all your sins before the Lord." "Also on the tenth day of the seventh month there shall be a day of atonement: it shall be a holy convocation unto you and ye shall afflict your souls and offer an offering made by fire unto the Lord. And ye shall do no work in that same day of Atonement for you before the Lord your God. For whosoever soul it be that shall not afflict in that same day, he shall be cut off from among his people. And whatsoever soul it be that doeth any work in that same day, the same soul will I destroy from among his people. Ye shall do no manner of work; it shall be a statute forever throughout your generations in all your dwellings. It shall be unto you a Sabbath of rest, and ye shall afflict your souls in the ninth day of the month at even from even unto even, shall ye celebrate your Sabbath." This very important day of the Israelite-Samaritans still offer no offering by fire but by voice since the time of the disappearance of the Tabernacle. No food or drink is served on this non-work day where most of the whole congregation (over the age of one year old) will spend most of the entire day of in the synagogue praying (piyyutim), praising their Creator, and reading the Torah (the first five books). The Priests bring out the famous Abisha Scroll making their way around the room blessing the congregation at the end of the day. We rode up the principal street, and at the door of the palace I met the governor just mounting his horse, with a large retinue of officers and slaves around him. We exchanged our greetings on horseback. I showed him my firman, and he sent a janizary to conduct me to the house of a Samaritan, a writer to the government, where I was received, fed, and lodged better than in any other place in the Holy Land, always excepting the abodes of those suffering martyrs, the Terra Santa monks. I had just time to visit the Samaritan synagogue. Leaving my shoes at the door, with naked feet I entered a small room, about fifteen feet square, with nothing striking or interesting about it except what the Samaritans say is the oldest manuscript in the world, a copy of the Pentateuch, written by Abishua, the grandson of Aaron, three years after the death of Moses, or about three thousand three hundred years ago. The priest was a man of forty-five, and gave me but a poor idea of the character of the Samaritans, for he refused to show me the sacred scroll unless I would pay him first. He then brought down an old manuscript, which, very much to his astonishment, I told him was not the genuine record; giving him very plainly to understand that I was not to be bamboozled in the matter. I had been advised of this trick by the English clergyman whom I met in Jerusalem; and the priest, laughing at my detection of the cheat, while some of his hopeful flock who had followed me joined in the laugh, brought down the other preserved in a tin case. It was written in some character I did not understand, said to be the Samaritan, tattered and worn, and bearing the marks of extreme age; and, though I knew nothing about it, I admitted it to be the genuine manuscript and they all laughed when I told the priest what a rogue he was for trying to deceive me; and this priest they believe to be of the tribe of Levi, of the seed of Aaron. If I had left Naplous then I should probably have repeated the words that our Saviour applied to them in his day, "no good thing can come out of Samaria;" but I spent a long evening, and had an interesting conversation with my host and his brother, and in their kindness, sincerity, and honesty, forgot the petty duplicity of the Levite. The Hebrew text of the first five books of Moses, as preserved by the Samaritan community. This module does not include any grammatical tagging information. In our last issue of the Samaritan Update (8.29.2002) was an article concerning a small scroll and case that the Samaritans Priests made and sold to tourists in the beginning of the 1900's. The case of the scroll appears to be made of tin from canned goods whereas the rolled circles are visible around the perimeter of the case. Two soldered hinges links per section, the three pieces of the case together. The closed case has a diameter of approx. 1 7/8" while the average height is 4 9/16". The three soldered finals are 1/4" by 1 7/8" tall. The is evidence that there were two handles but only one remains, close to 1/4" by 1 7/8". The overall height from tip to tip is approximately 8 inches tall. Sales through their gallery and by mail order. in the past and hope you visit us again real soon. We ask you to forward this Update to your friends. The purpose at our web site is the education of the existence and history of the Samaritan-Israelites, descendants of the ancient Kingdom of Israel. Recently we have been working on expanding our web site. We do hope you enjoy visiting our site and recommend it to your friends. Again we thank you for visiting us at http://www.the-samaritans.com Take care and may you be blessed from the Holy One from above.